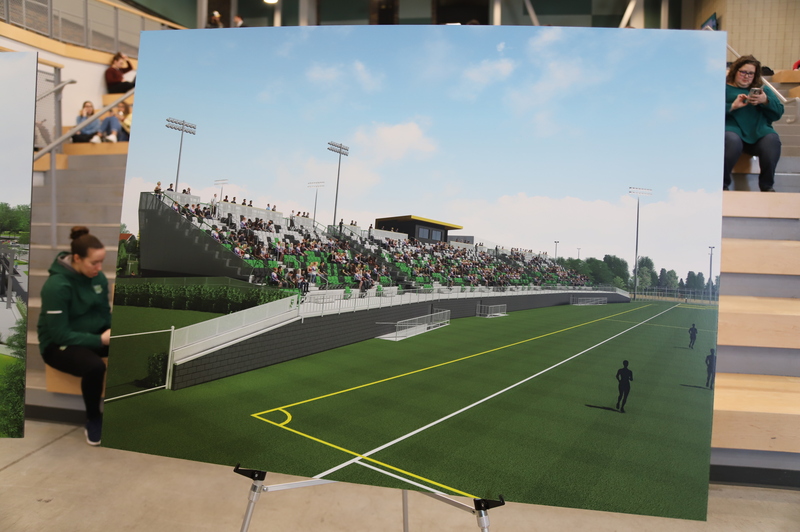 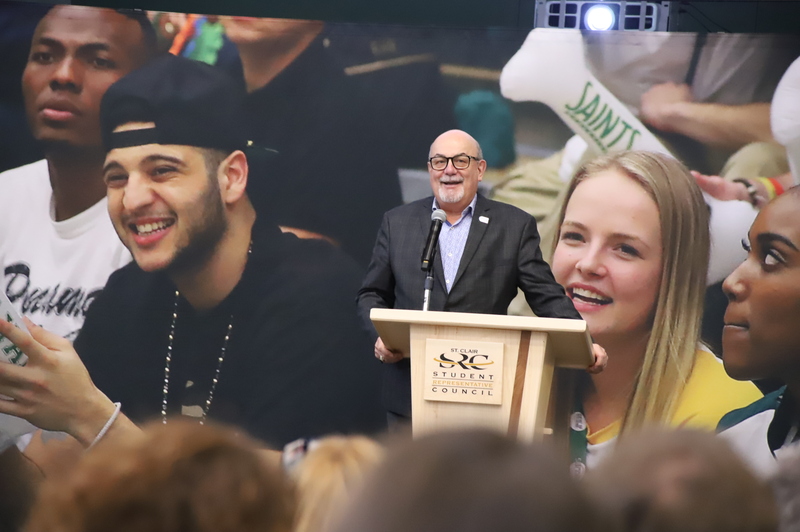 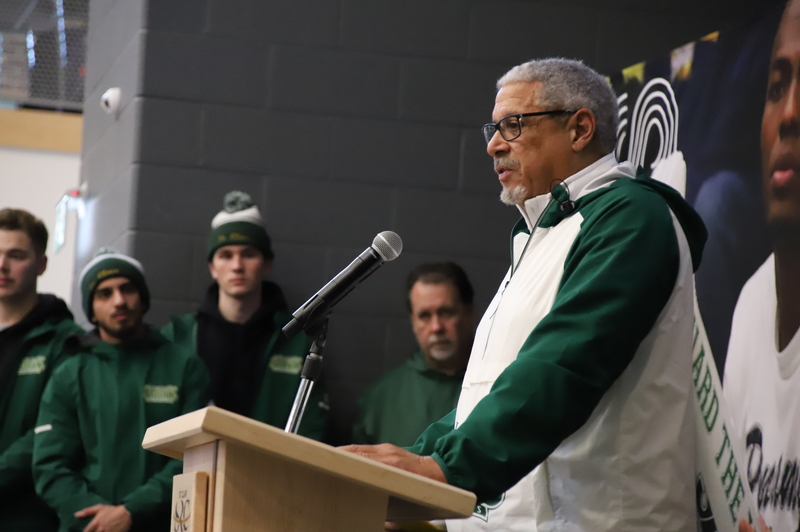 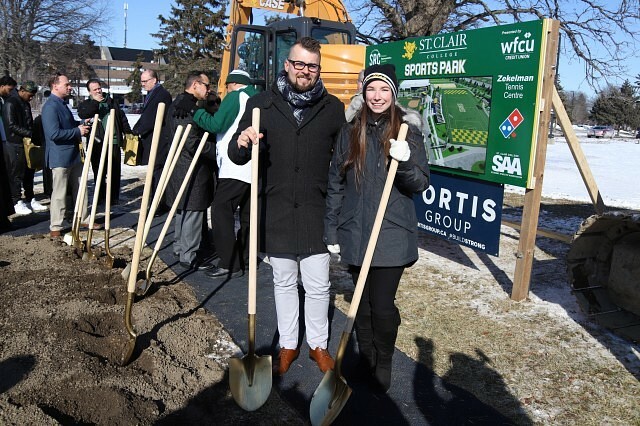 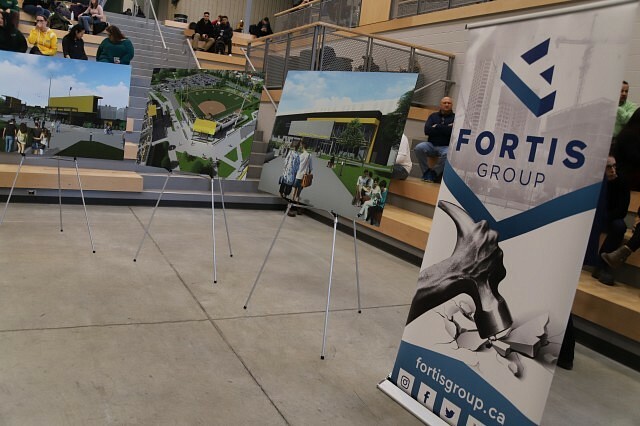 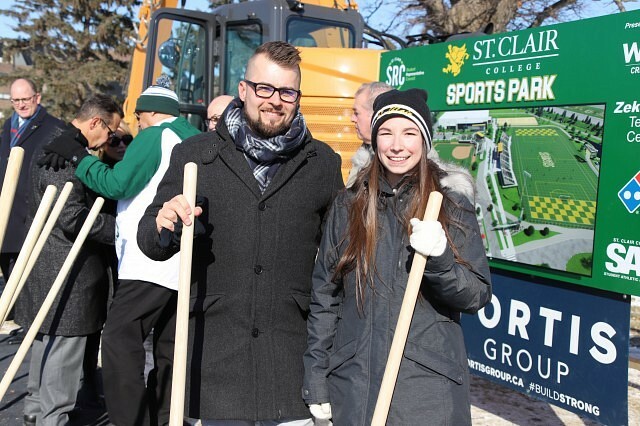 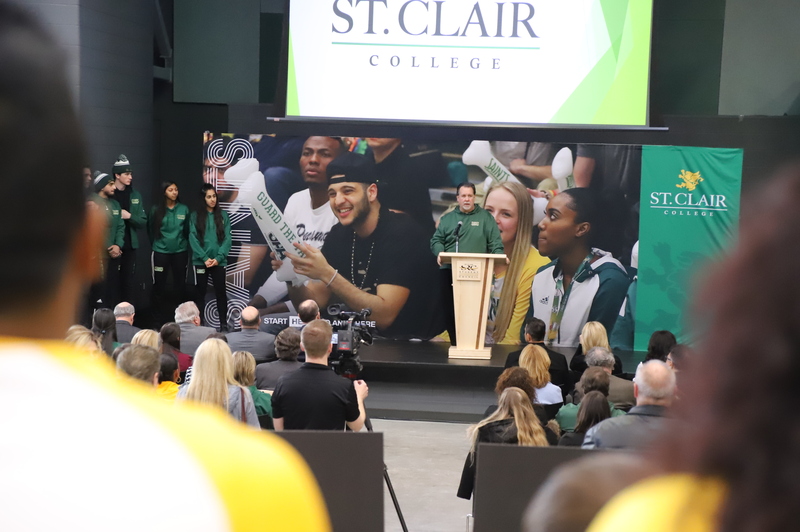 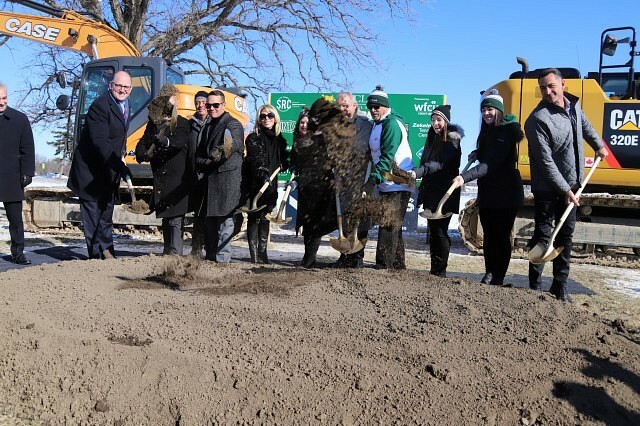 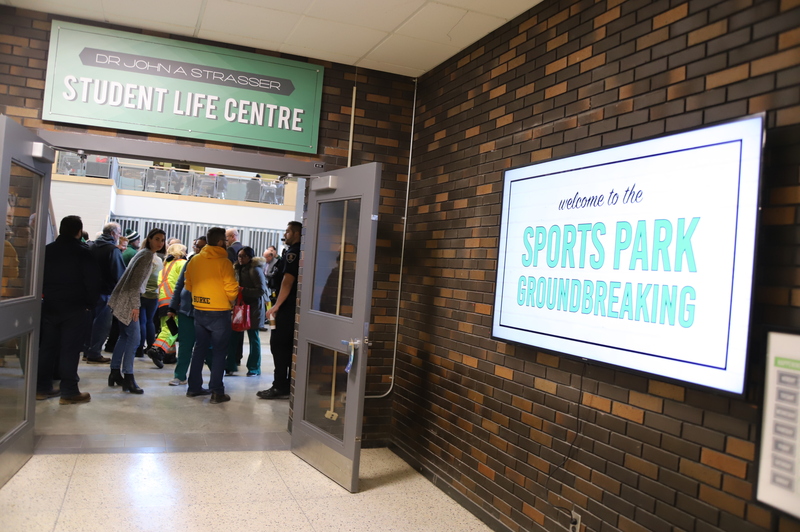 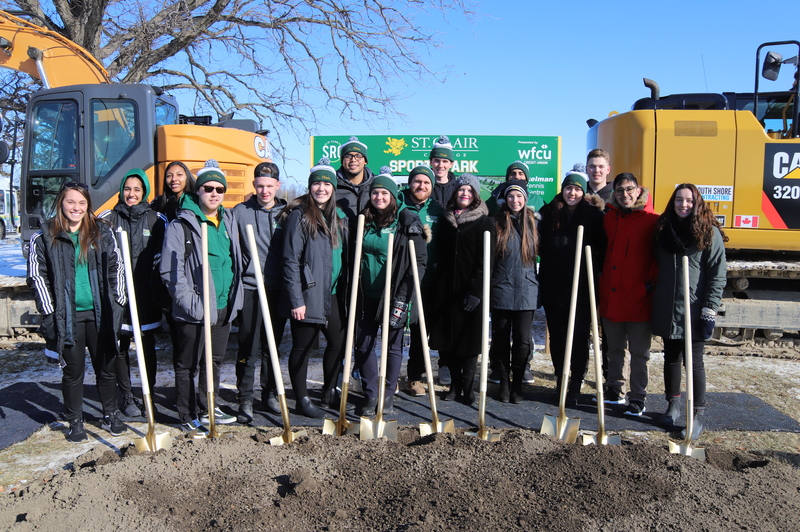 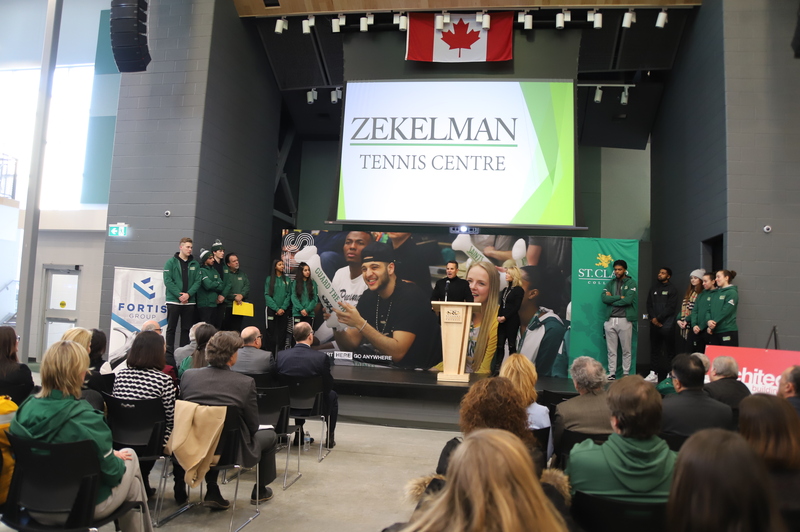 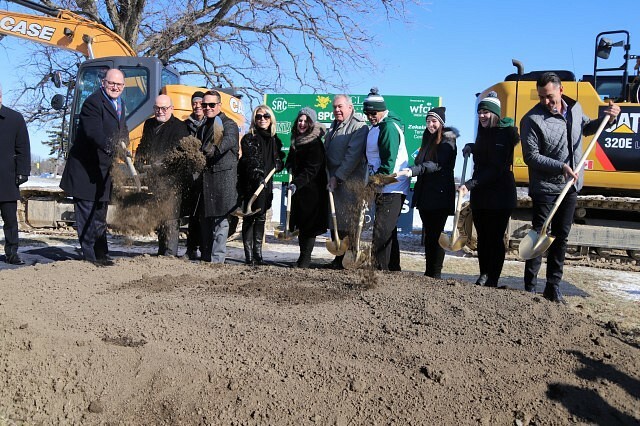 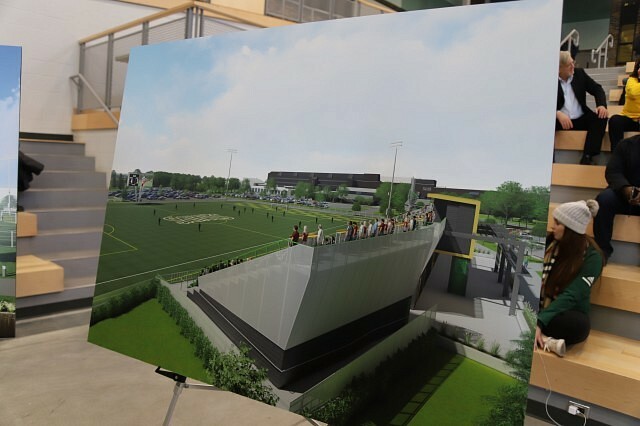 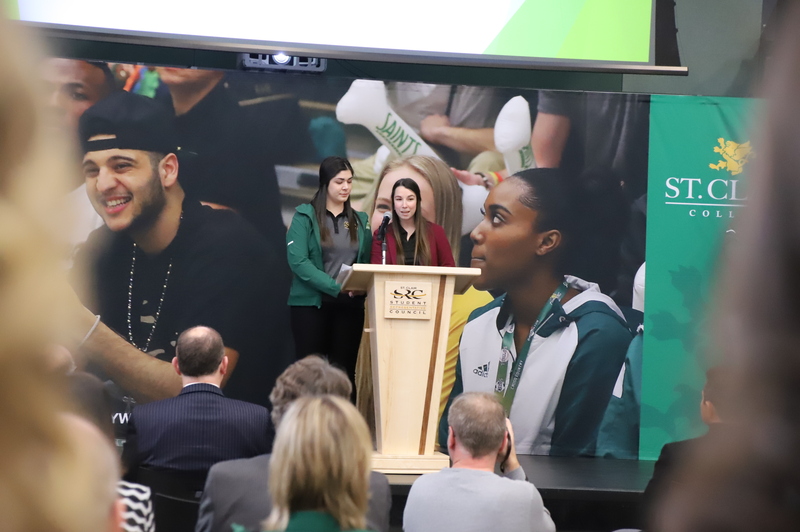 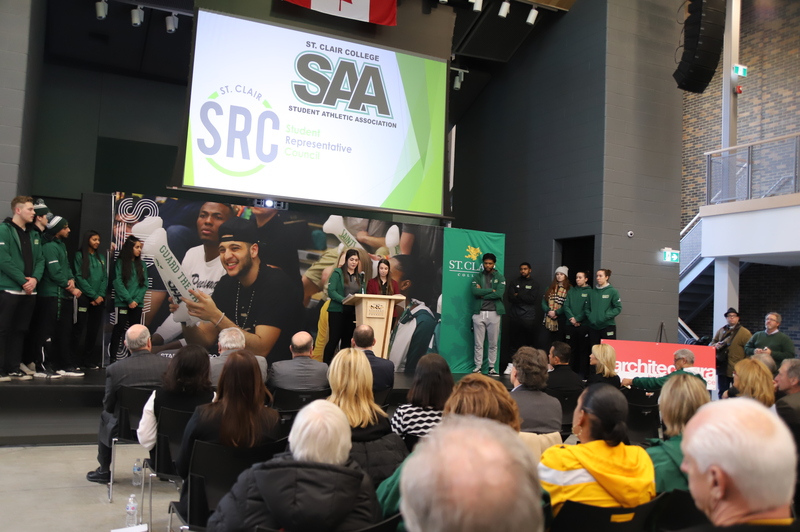 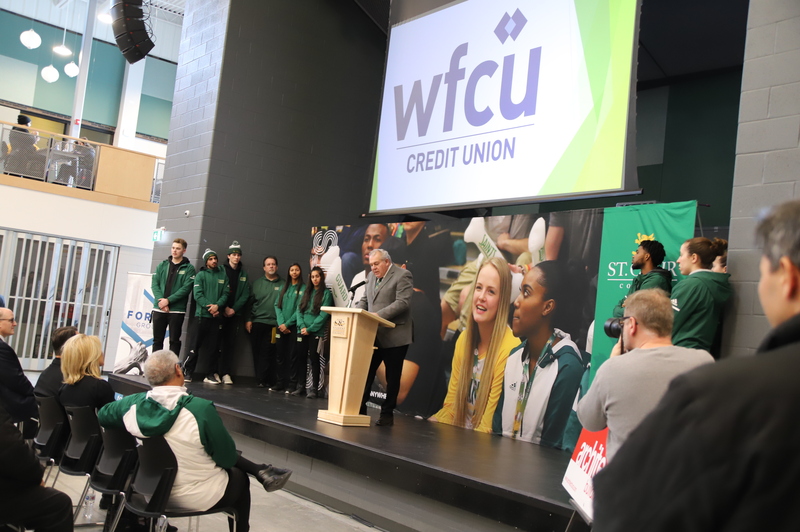 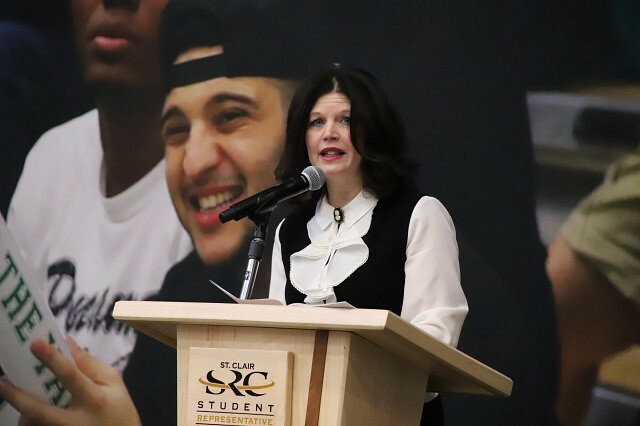 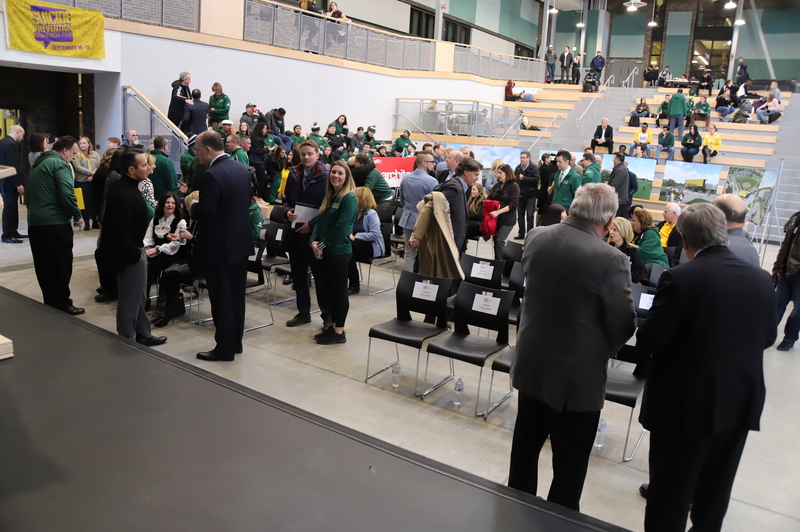 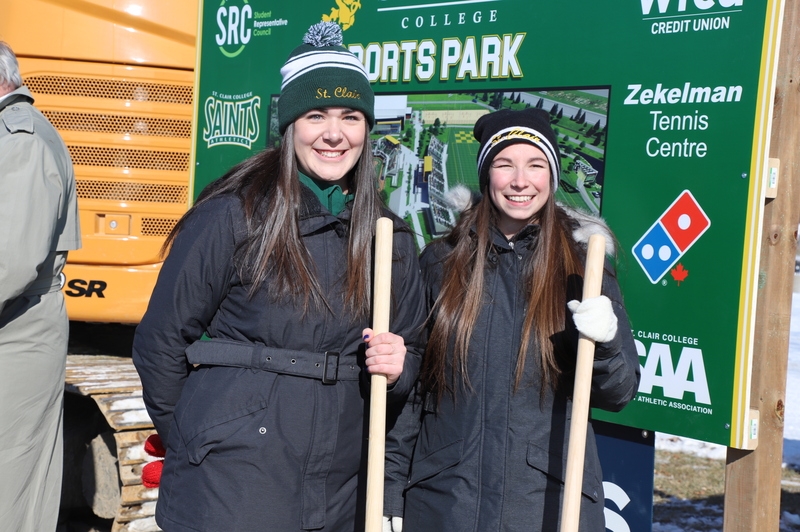 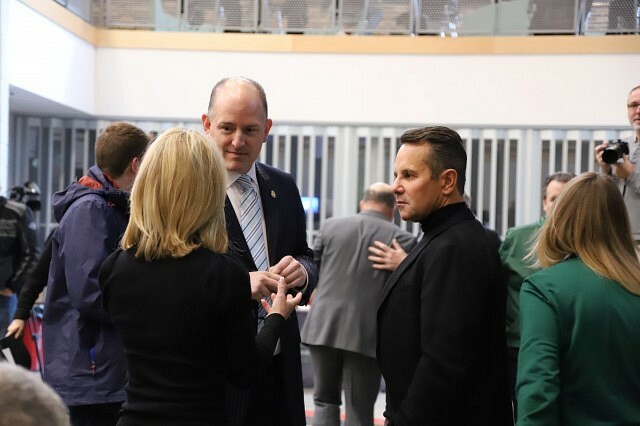 St. Clair College celebrated the announcement and groundbreaking of their soon-to-be-built Sports Park Friday afternoon. 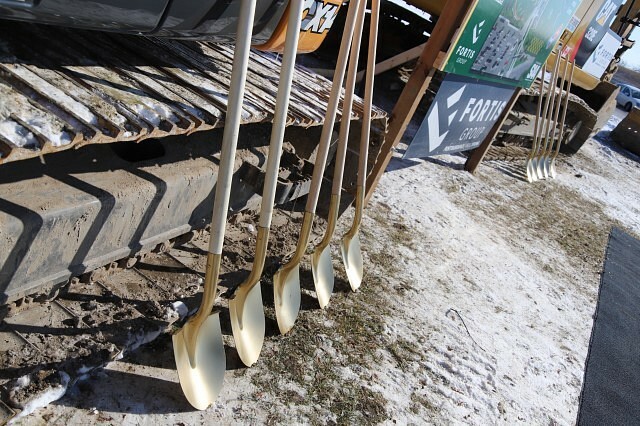 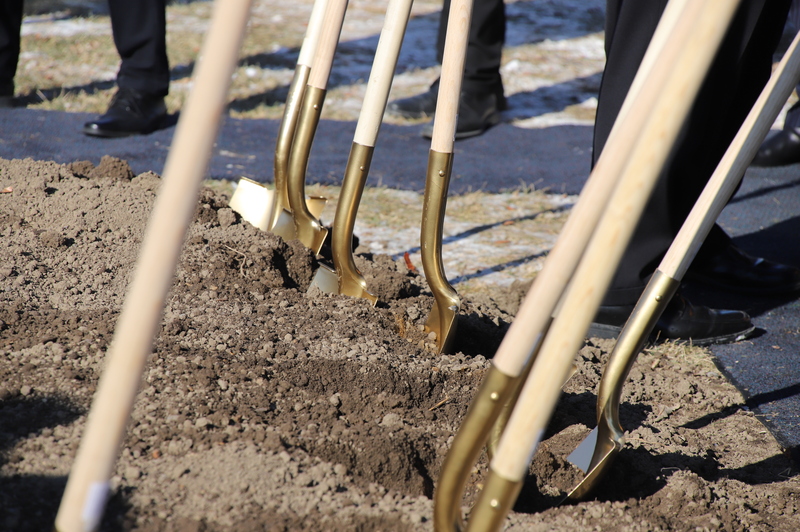 A press conference lead to the official groundbreaking outside with golden shovels in the area where the Sports Park is to be built. 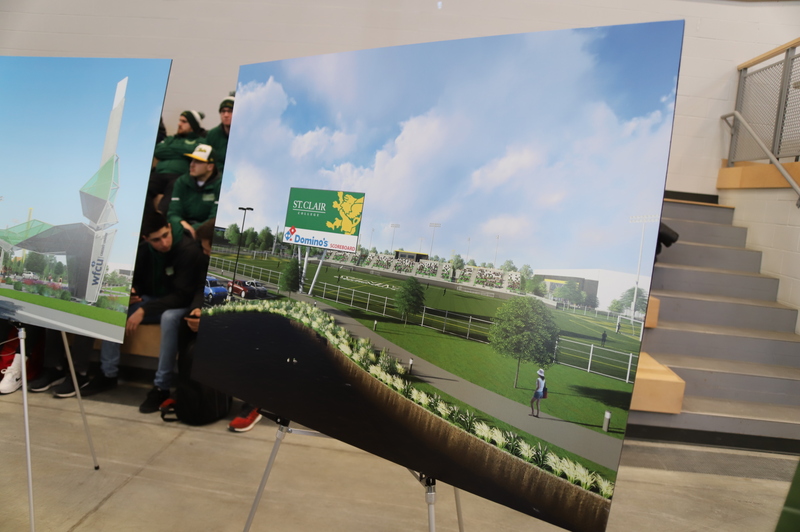 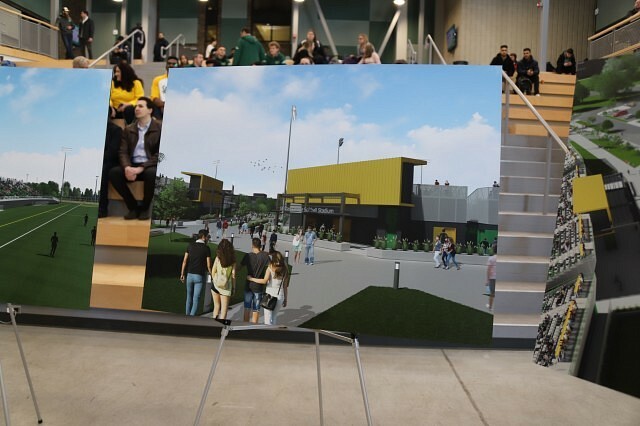 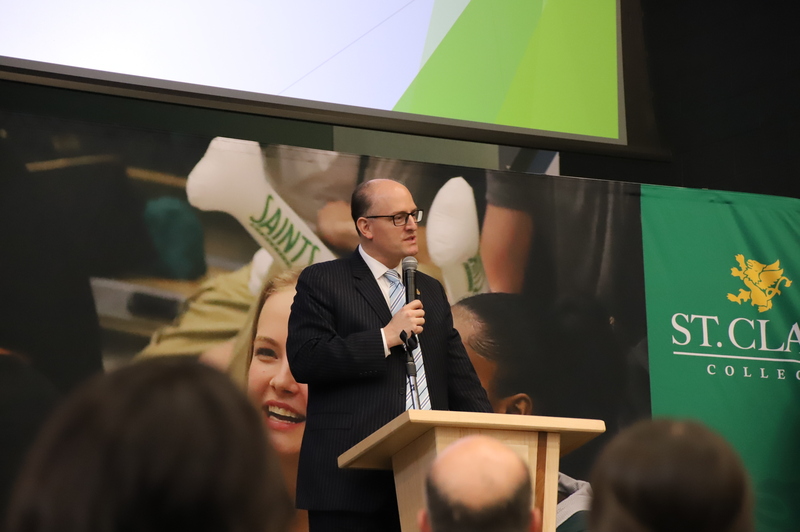 The Sports Park, which is to cost $21.5 million, is to be a ‘ “state for the art” multi-sport facility that will provide students with recreational and varsity athletic programming,‘ as announced by the Student Representative Council’s general manager Ryan Peebles. 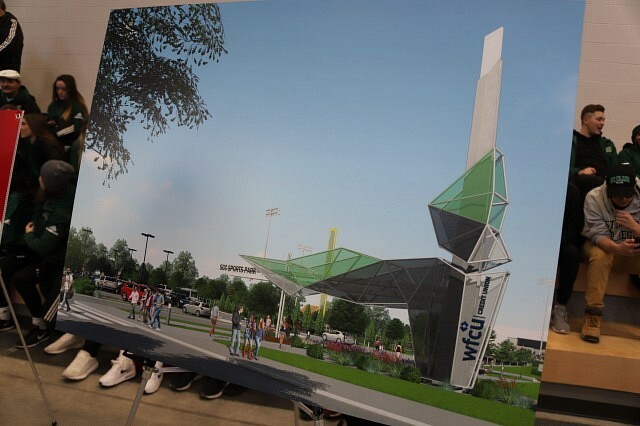 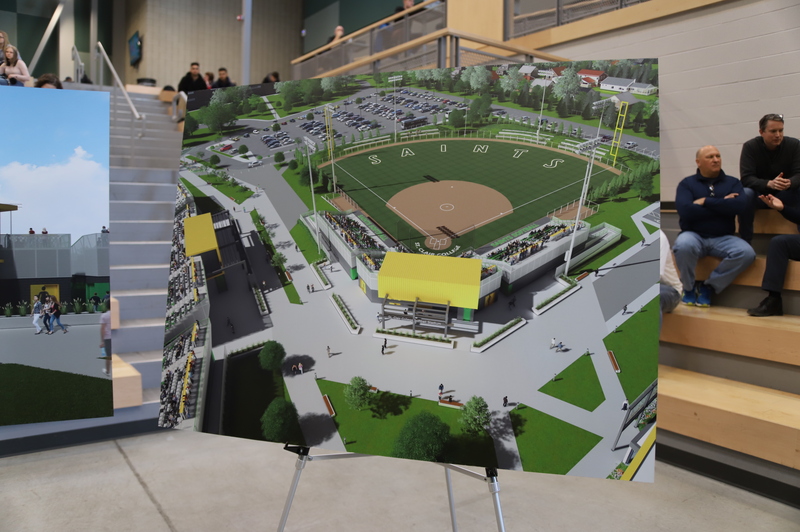 The Sports Park is to encompass a four-court indoor tennis complex, a four-court outdoor sand volleyball area, an artificial turf soccer stadium to seat 1,500 people, and eventually in phase two, a softball diamond.